Tall 2-3' spires of raspberry pink will grace the garden border with this perennial herb. Sun loving and drought resistant. 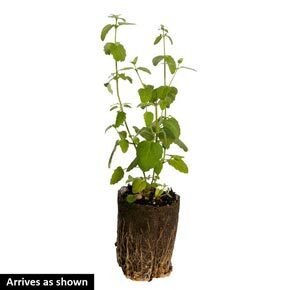 The mint-scented leaves that have a hint of lemon are a perfect backdrop for the large flower spikes of tubular blooms that appear midsummer to fall. Goldfinches, hummingbirds and butterflies will take turns visiting this garden delight! Ships in 3" pots. 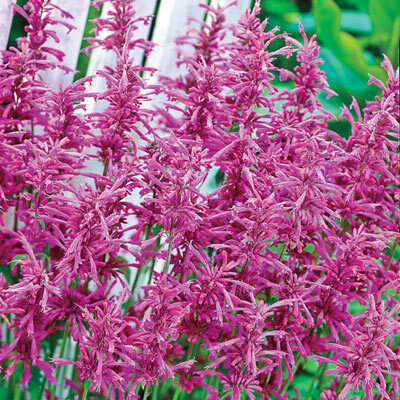 Agastache barberi 'Tutti Frutti' Deer tend to avoid. Winter Care: Mulch to overwinter in zone 6. Pruning: None, except to remove spent flower stems if desired. After flowering. Soil Requirement: Well-drained, average garden soil. Additional Information: Seems to quickly recover from a trim after the first burst of blooms and should reward you with more blooms late into the growing season.